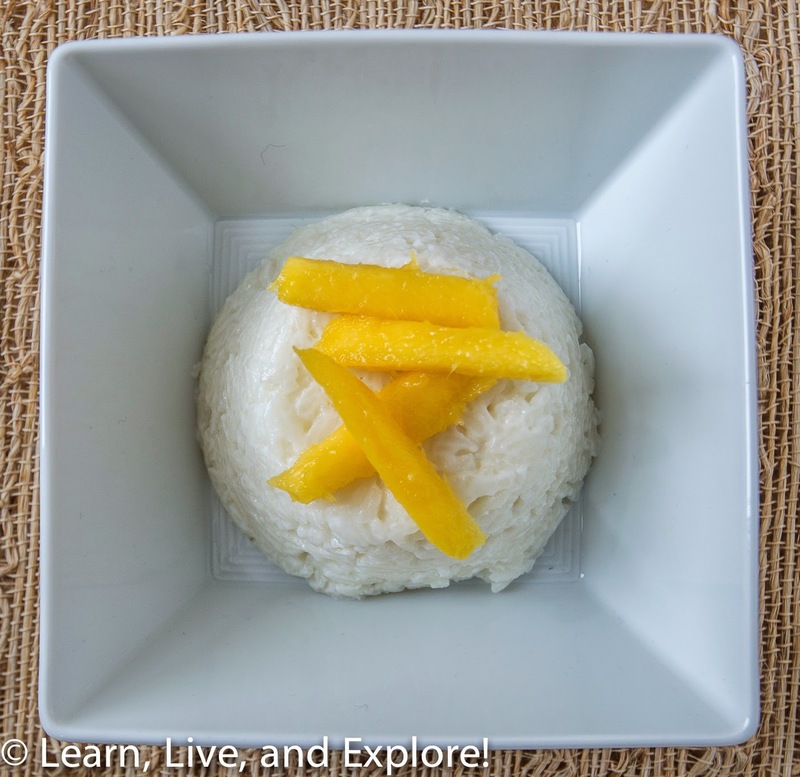 Thai Coconut Rice Pudding with Mangos ~ Learn, Live, and Explore! Talk about maximum taste with minimal effort! This coconut rice pudding is the perfect light dessert on a warm, sunny day. With just five ingredients and five steps, there's no reason not to try it! 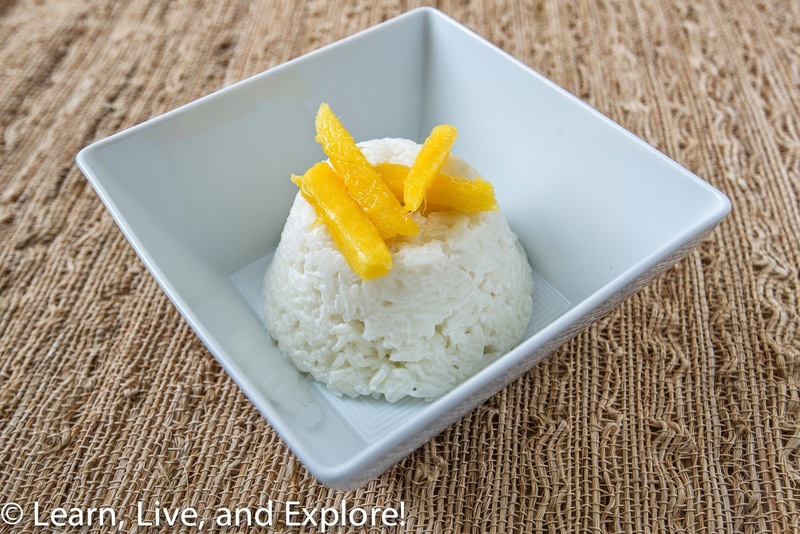 When the rice is cool, place it on a serving dish and present the sliced mangos next to the rice, then serve. I may or may not have tasted some of the rice when it was cooling to room temperature, and it was delicious warm as well!